The healthcare professionals who save and extend our lives are helpless without the medicines and technologies that have revolutionised medical care. But the industry that invents, makes and provides these indispensable tools is transforming under the pressure of ageing populations, globalisation and revolutions in biological and information technology. How this industry adapts and evolves is vitally important to every one of us. This book looks inside the heads and hearts of the people who lead the global pharmaceutical and medical technology industry. It describes how they make sense of their markets and the wider life-sciences economy. It reveals what they have learned about how to lead large, complex organisations to compete in dynamic, global markets. 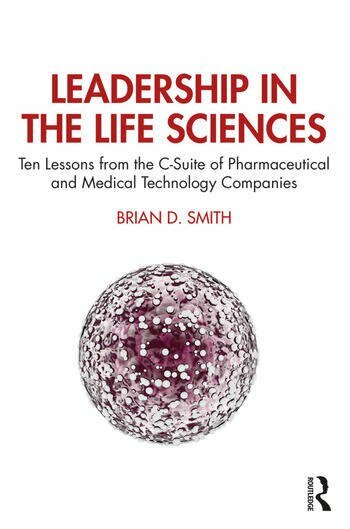 Leadership in the Life Sciences is essential reading for anyone working in or with the pharmaceutical and medical technology industry and its halo of supporting companies. Written as 10 succinct lessons, it gives the reader unique insight into what the industry’s leaders are thinking. Covering topics from leadership to organisational culture, from change management to digital disruption and from competitive strategy to value-creation, each chapter distils the accumulated wisdom of those who lead the complex and turbulent life sciences industry. Brian D. Smith is an academic, author and advisor in the area of competitive strategy and has been described as the world’s leading authority on the evolution of the life sciences sector. He has twenty years research experience at Europe’s leading business schools, has published over 300 books, papers and articles and provides strategy advice to many global companies in the pharmaceutical and medical technology sectors. He is an adjunct professor at SDA Bocconi, Milan and Visiting Professor at the University of Hertfordshire, UK. This follows on from 20 years experience in the pharma and medical device industry, first as a research chemist and then in an ascending series of marketing roles.